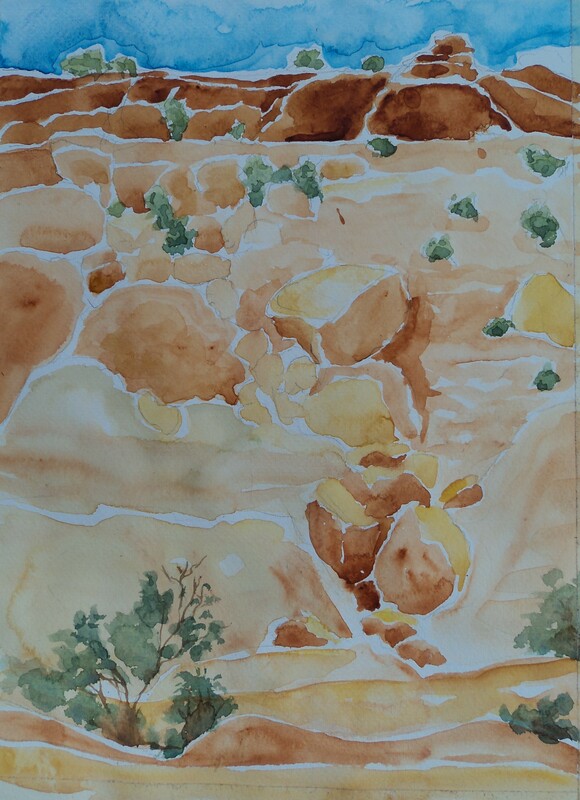 So today I decided to paint after my morning run on Tabeguache Trail. Painting outside really feels good! I love how the watercolor dries so quickly, it keeps you on your toes! And it’s so bright with that big glowing sun that my colors have to try to compete. I really had fun with leaving lots of white and capturing the bright sun on the rocks that way. 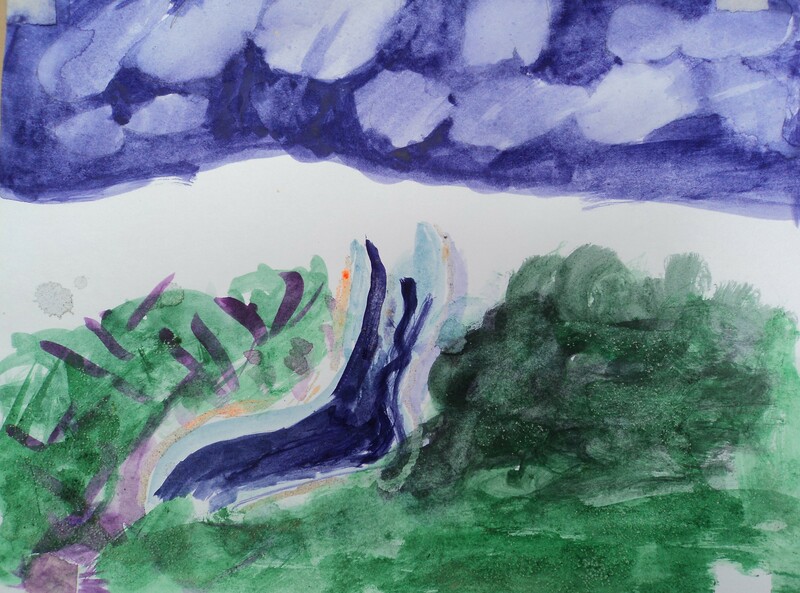 This watercolor was done by Adina, my recently turned 6 year old, in between throwing rocks in the river and filtering sand through her fingers….she’s such an inspiration! 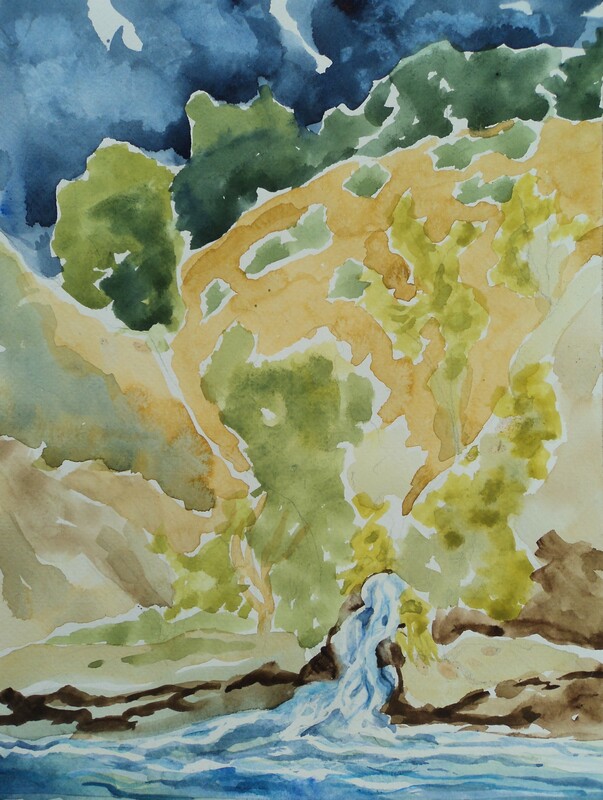 This one I did, while watching Adina out of the corner of my eye, throw rocks in the river…. We had so much fun and it was so relaxing, we decided to do this again very soon. I’ll keep you posted….